Every October and May, schools from all 50 states and more than 40 countries organize students, parents and school staff to walk or bike to school for one or more days. With some planning, preparation and communication, your school or district can organize a Walk or Bike to School Day to get students active and learning about walking to school. Start Small. It’s okay to start small. Or big. You can always build on your successes with more components next year. Or, if the school’s enthusiastic and partners are ready to help, aim high; start with an initial flier that you follow with other promotional materials and planned activities. Plan Early (if you can). When time is on your side, plan as early as you can. Depending on how your school operates, it might be a good idea to get the ball rolling two months before your event date. Many organizers get approval from the school in the previous school year (or the organizer is the school principal). They don’t take any other steps at that point besides getting the date on the school calendar. Get the Principal On Board. Get the principal’s approval before moving forward on tasks. Approach the principal with an outline of your ideas for the event as early as possible. While at minimum the principal’s approval is needed, he or she can also be what makes the event really shine. Register Your Event. 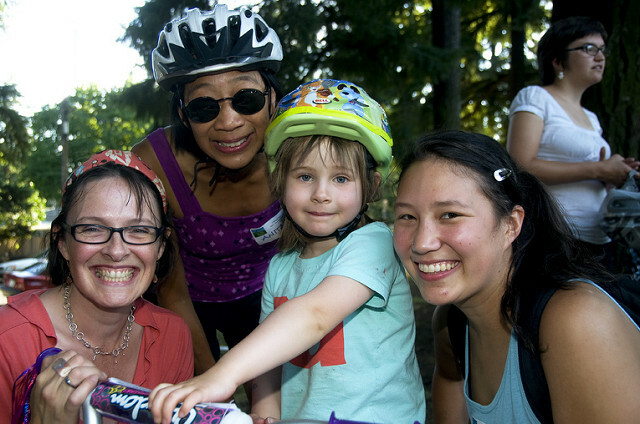 Register your event on the Oregon Walk+ Roll to School website. Thousands of schools and communities around the country register their events. Make sure your event is counted by registering. Recruit Help. There’s no need to go it alone. Don’t try to plan and carry out the event all by yourself. Recruit other adults and students to help. Include All Students. Include everyone at the school. Explore ways to participate and learn about how to provide access for all students. Even students who live too far to walk can participate. Provide Incentives (if you can). Give out incentive items or tokens if you can. Print stickers and certificates, or order prizes such as pencils, badges or reflective gear. Find some materials to download and hand out as incentives here. Communicate with Parents. Communicate with parents early and often about the event. Distribute fliers two weeks before the event, and send out reminders the week and day before the event. Include your contact information in the promotional materials in case parents have questions or concerns. We provide flier templates for you to use and adapt. Intercom announcements are another good way to get the word out and reinforce safety tips. Get the Word Out. Get the word out beyond the school. Promote the event to the community, elected officials and students. Think strategically. For example, if speeding is a problem, you may want to involve local law enforcement. If sidewalks are missing or in bad repair, you may want to invite your local public works department. Browse ideas for promoting your event. Review the Getting Started Guide from Walk & Bike to School. Review the Getting Started Guide for step-by-step guidance on planning an event.